Vitiligo, characterised by pale patches of skin due to lack of pigmentation, is not a physically painful or harmful condition, but can have a significant psychological impact. If vitiligo is affecting you, get in touch today to find out how the team at The Dermatology Clinic could help. Around 1% of the population have vitiligo. The condition can vary significantly in the amount of skin affected and how noticeable it is. 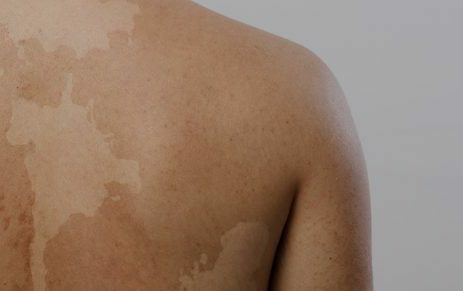 Find more information below about vitiligo, and how The Dermatology Clinic London can help. Vitiligo can occur at any age and on any part of the body. It is caused when the cells that produce melanin stop functioning or die altogether, but the rate and extent of colour loss is unpredictable. In some cases, vitiligo can affect the hair, eyes and inside of the mouth. Although no medication can stop vitiligo, there are options that help to improve the skin’s appearance, either alone or in combination with light therapy. Topical corticosteroid creams can help to control inflammation and re-pigment the skin, particularly if you start to apply it when the condition is in its earlier stages. Corticosteroid cream is effective and very easy to use, but it does have side effects, which we will discuss with you before you begin treatment. This is a type of light therapy and is used for people with vitiligo covering more than 20 percent of the body. If your vitiligo covers your face, torso and limbs, this treatment could be beneficial to you. Our team uses narrow-band UVB therapy and for optimum treatment you can receive this treatment at The Dermatology Clinic up to three times a week. A combination of light therapy and a drug called psoralens can also be used to treat vitiligo. Known as PUVA, this treatment uses UVA light, which is applied to your skin after you’ve taken the medication (this is either taken orally or applied as a cream). Psoralens makes the skin more sensitive to light. Combined treatment can achieve great results in re-pigmenting vitiligo, but you may need to visit The Dermatology Clinic up to three times a week for 6-12 months to see optimum results. The appearance of vitiligo can cause much distress and our caring team understands that it can have a major bearing on your life. 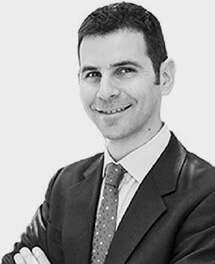 Book a consultation today and find out how we can help you.